Choose the right dentist in Seaford and reap all the benefits of excellent dental services and treatment outcome that you will never regret. While the dental clinic in most metropolitan places is growing in number, choosing the right one can be so daunting. But you are left with no choice because whether you like it or not, you and your family really need dental services. In finding a dentist in Seaford, there are criteria that you have to primarily consider. Education, training and certification of the dentist. Dental practice is based on the license, trainings and certifications of the dentist. If one passes the board exam, then this qualifies the dentist to practice the profession. 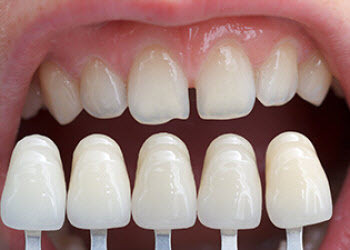 However, what if your dental needs require other cosmetic dentistry like implants? This calls a qualified and trained doctor to make the treatment successful. These are all proofs that the dentist in Seaford can legally practice the profession and is undergoing further education and training to acquire new skill set for a new treatment option. Reputation and affiliations.The way other people perceive the quality of the dental service they have availed from dental health provider are really important since this will also give the idea on what to expect from the dentist. Check also if there are complaints against the dentist. You will know more about the reputation of the dentist by checking online reviews and testimonies. If the dentist is affiliated with American Dental Association, you are assured that she or he has adhered to the standard set by the association. Cost. It is not always right to go for expensive services since we expect to have best output. Though the service equates your payment for it, still, you need to be careful of highly priced professional fees and treatment procedures since similar procedures can be priced lower to some dentist in Seaford. Look into other factors also that may affect the total cost of the procedure. Location and Clinic Hours.Choose a clinic that is near your office or home and is generally accessible. You may also opt for the one located on shopping malls for your convenience. Another thing is the clinic hours should not deprive you from not being attended with since you are busy at work and your schedule cannot not fit. It would be better to choose clinic which is open even on weekends and holidays. Services rendered. Select a dentist that can offer wide array of services from general and preventive dentistry to cosmetic dentistry. This is for you not to be confronted with the hassle of finding another dentist should you need other dental services. Attitude of the staff towards the patients. The clinic staff is the person whom the patients will arrange or set appointments. If you have inquiries through phone or in person, the clinic attendant will get back to you. If you notice unfriendly atmosphere, then this may be a reason why you will not choose the dentist in Seaford.